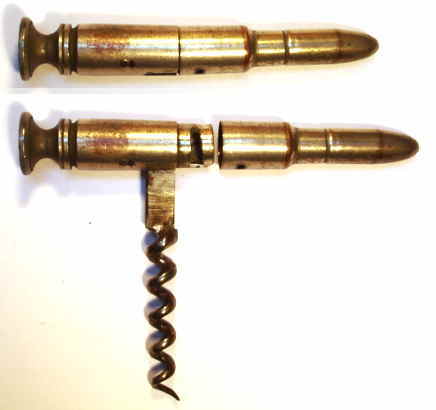 A rare German bullet corkscrew with worm that slides and folds. Case has pipe tamper at the end and the case is nickel plated. Note one tiny fault, the locking pin is missing, but not a real problem. The case would normally twist and lock. Length 3.5 inches. Payment Details: We accept PayPal, credit card and cheques from known collectors.